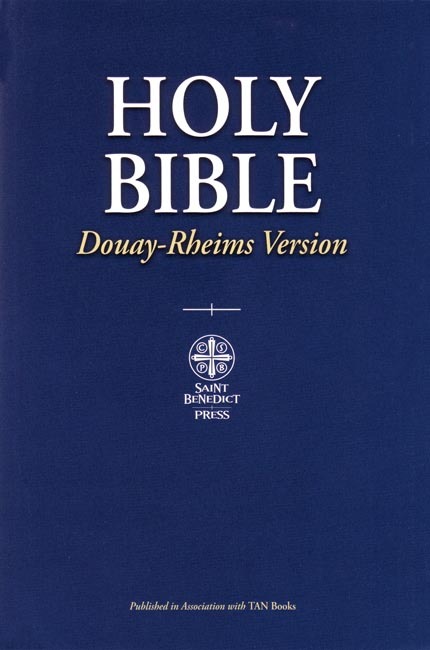 The Douay-Rheims Version of the Holy Bible, translated between the years 1582 and 1610 and revised by Bishop Richard Challoner from 1749-1752, is the most accurate English translation of the Bible available today. It was the only Catholic translation of Scripture commonly in use for over 200 years and is maintained by many to be the best and safest version of the Bible in English. Translated with profound respect for every word, the beautiful style of the Douay-Rheims Bible will instill in the reader a deeper understanding of the Word of God. Annotations, references and an historical and chronological index make it convenient for study as well as meditation. In the back of the Bible, there are several common Prayers, a Listing of all of the Popes, and a few maps of Palestine during biblical times. Copyright 2009. Dimensions: 5.5 x 8.125 inches. Paperback. More than 1,392 pp.